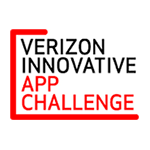 Four Clariden students were recently named Best in State Winners in the Verizon Innovative App Challenge. The nationwide contest challenged middle and high school students to come up with a mobile app idea that would help solve a problem within their community. Over 1200 app ideas were submitted nationwide and Clariden’s team was named the 2015-2016 Best in State winner in the high school division. Because they were named Best in State winners, each student was awarded a mobile tablet along with a $5000 grant for their school making them eligible to compete in the Fan Favorite People’s Choice Challenge. Winning the People’s Choice Award would bump them up to the next round where they compete for a $15,000 prize , the opportunity to work with MIT experts to build their concept into a working app, and an all expenses paid trip to the Technology Student Association conference in Nashville, TN in June of 2016.